After reading Emerging Technologies in Distance Education during ITC 435, I opted to closer examine a chapter which discusses establishing a community of culture in distance education. I'm extremely happy that I chose this chapter to examine. I feel that establishing personal relationships with students is a key to establishing and maintaining and effective classroom environment. While I am anxious to teach in an online environment, a great fear of mine was losing that personal connection. This chapter helped me become better informed of the ways to establish a sense of community and belonging in an online environment. This document is an example of a lesson plan that was fully executed during my employment as a middle school (6-8) librarian at Lebanon School District. Lebanon School district requires that all teachers go through training in Learning Focused Schools (LFS) and use a Learning Focused Schools lesson plan template for their planning. This lesson plan for 6th grade students examines the differences between primary and secondary resources. The lesson features several key components to an LFS lesson plan, including an Essential Question (EQ) which is posted in the classroom throughout the course of the lesson. I first became familiar with Learning Focused Schools as a high school student and became even more familiar with it during my undergraduate studies at Kutztown University. Additionally, the school I student taught at was a LFS school. During my Induction at Lebanon School District, all new teachers were provided with several resources to assist in the understanding and execution of a Learning Focused lesson. Resources included help in creating higher-order Essential Questions, developing Activating and Summarizing Strategies, and the creation of assessments. This lesson features PDE Standards, AASL Standards, and the Common Core State Standards. In addition to teaching library courses, I also teach a second grade and fourth grade "WIN" (What I Need) group. This time is spent working on math and reading. Each group consists of about 10-12 students. While both groups are considered the "highest" groups, they still have great variances in their reading and math ability. Hempfield School District uses both ILS SuccessMaker (Pearson) and Study Island to assist in math and reading comprehension. Both programs are computer-based software that are often done independently by the student. After speaking with some of the administrators at Hempfield, I learned that the primary reason for purchasing this software was because both programs are individualized for students. For example, if a student consistently struggles with word math problems, ILS will intentionally provide more support in that area, where for another student that is having difficulty in another area, the program will adapt for that student's needs. The same is true for Study Island. This is very beneficial for teachers because of the wide range of abilities in each grade. Both students and teachers can track their progress in specific areas which help guide instruction, and help motivate the student. Hempfield School District's technology department understands that when moving from one computer to another, or from an iPad back to a laptop, that it can be frustrating not having access to all of your materials. Hempfield School District also understands that there are many products available to solve this issue, but each teacher has his or her own preferences. Hempfield School Districts shares all admin-level documents via Sharepoint. Documents include HR forms, Board documents, as well as building-specific information. 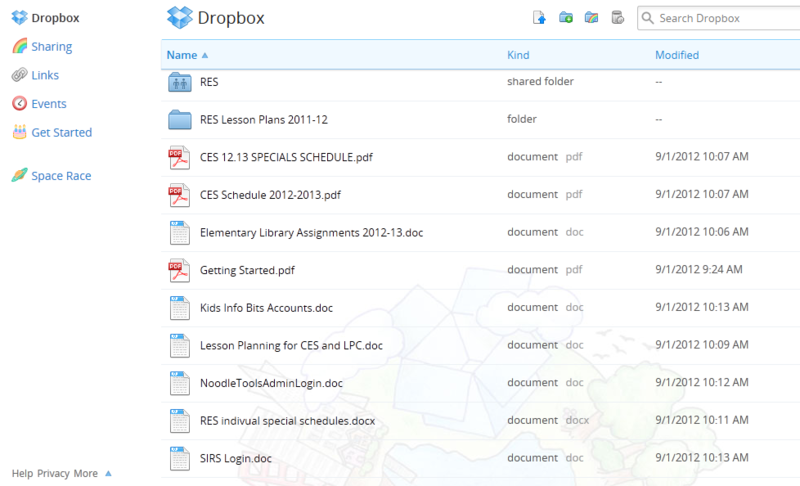 To assist in sharing of documents between staff members, HSD creates Dropbox accounts for all teachers. This greatly saves space on email and is the preferred method of document sharing among staff members. Teachers frequently use the "Drop it to me" feature to allow students to electronically share documents. Additionally, HSD uses Google Apps for Education, including Google Docs (Drive). All teachers and students have a Google Apps account. Google Docs is even used to do the daily lunch count, instead of the 'old-school' paper method and one student running down to the office. From a technology administrator perspective, tools such as Dropbox and Google Docs are incredibly beneficial. They are user-friendly, save employees time, and save the district money. However, I recognize that they may also pose some concerns since many of the documents being shared contain personal student data. All of these tools are also third-party software, and while the district can provide some support, there may be many situations in which the software company may need to be the one doing the troubleshooting. This can cause potential issues due to teachers having limited rights to make changes on their computers and iPads. Ultimately, I personally agree with the school districts decision that the benefits of these tools greatly outweigh the potential risks. While a lot of communication among staff is done via email (our school district uses Outlook), a lot of communication to students and staff is done through various Web 2.0 tools. Each teacher uses different software, depending on their students needs and their teaching preferences. In my class, I use both KidBlog and Edmodo. I use KidBlog for my second grade WIN (What I Need) small group, and I use Edmodo for my 4th, 5th, and 6th grade library students. Our Edmodo is connected with another elementary school's account so our students can communicate with each other. Finally, our school district communicates various things via the Parent Portal. The Parent Portal shows current grades, upcoming assignments, any fines (including library fines), and upcoming school events. In addition to timely communication with staff, communication is also equally important with parents and the community. 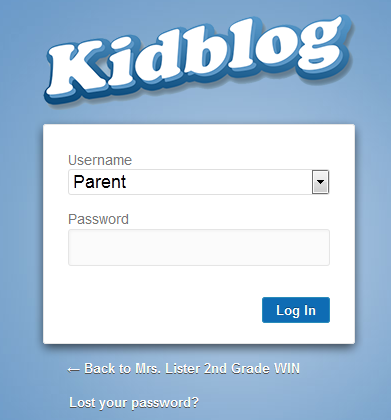 Both Edmodo and KidBlog have the ability to be viewed by parents. Both Edmodo and KidBlog are tools that can be used both in and out of the classroom. I find that by creating accounts for parents, parents are more in tune with what is occurring in class, and are very appreciative of the transparency.